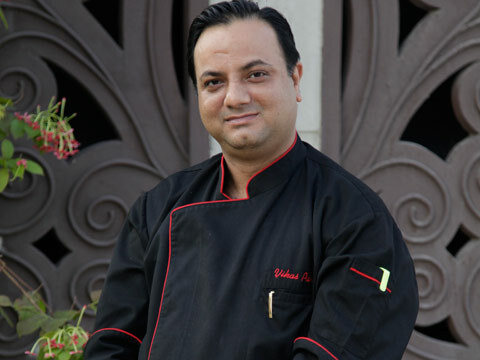 Chef Vikas Pant is the executive chef at Hotel Radisson Blu, Paschim Vihar, talking to Restaurant India; he shares his view on the contribution of a good menu in a restaurant business. What all things come along in designing your restaurant menu? There are three important factors that are taken care of when designing a menu; The guest profile mix, as understanding this is most important as we are catering to business travellers who are always in a rush. Keeping this in mind food offering should be supplementing and revitalizing. The menu mix should also support his business needs while the guest is entertaining others, The Rend, customers today are amongst frequent travellers and well aware of the trends. They are also looking for simplicity yet innovative platter which always surprises them so missing that in menu is certainly reflect on the footfalls of the restaurant and The usage mix: The menu shouldn't burden the operation, it should rather compliment. Increase in usage of similar ingredients directly multiplies the profitability. What menu tweaks are you planning to introduce to stand out from the crowd? We consider all the three factors mentioned above. I am looking forward to bring in more authenticity and also innovative styling. This will further help position our restaurants as trendsetters. Tell us something about the supply chain management in your hotel. Who are the suppliers? Can you please name some? The supply chain for all Delhi hotels is almost similar. We are associated with the big vendors who are common in hotel supplies. The simple fact is that, these vendors are aware of hotels requirements and they are dedicated towards supporting the hotel. Comment something on the involvement of senses in the restaurant? Senses to me are most vital. Especially, in case of restaurants, we use all our senses while dining. The eye appeal is something that will mesmerize the customers even before they have entered the place. The rich aroma of the Food & ambience will keep them enticed. The ambiance and music also plays an important role. It should be soothing and entertaining. Once all these four senses are taken care of, the taste will create the master stroke for everything. What are the different types of cuisines served at your restaurant? Level 2, a 24 hour multi cuisine restaurant offers several options both through buffet and A-La-Carte. It also promises a sumptuous dining experience and offers fresh, flavourful world cuisine with a trendy, live kitchen. Indyaki, an authentic Indian speciality restaurant cooks meals to perfection in an extraordinary culinary theatre which feeds the senses and entertains the appetite. Its major attraction lies with its Teppanyaki grills which serves food in the similar style. The best sellers here are Indyaki tawa macchi, chicken apricot kebab, subz kaju ki seekh, nalli ki nihari and dal Indyaki. What is the contribution of good menu in restaurant business? How are new techniques in food helping the restaurant grow? A balanced menu mix and standardized offerings will always multiply the footfalls which are directly proportionate to the revenue. There are many e-channels to grow the restaurant business but by far customer’s personal experience is the best way of marketing with least or no investment. The guest is the brand ambassador. I always strive to see the WOW expression from my guest and rest assured business is taken care of. How familiar are you with the legalities involved in opening a restaurant? Are you planning to open up your own restaurant? I am quite familiar with the legalities but I am not focusing on my own enterprise at the moment. My prime focus is performing the best in my job at Radisson Blu Hotel New Delhi Paschim Vihar and would love to make F&B the most talked about thing. I also look forward to place this hotel in top league through hospitality recognition and awards. What according to you are the top trends that will drive the industry in 2016? Authenticity without tampering the basic recipes ably paired with innovations will be the mantra. Great chefs are always rooted to basics and that’s why they are successful. About Us: Virgo Hospitality Established in year 2016 with an outlet at..
Now an app that gives real time discounts for rest..
​How to Build a Franchise Brand..